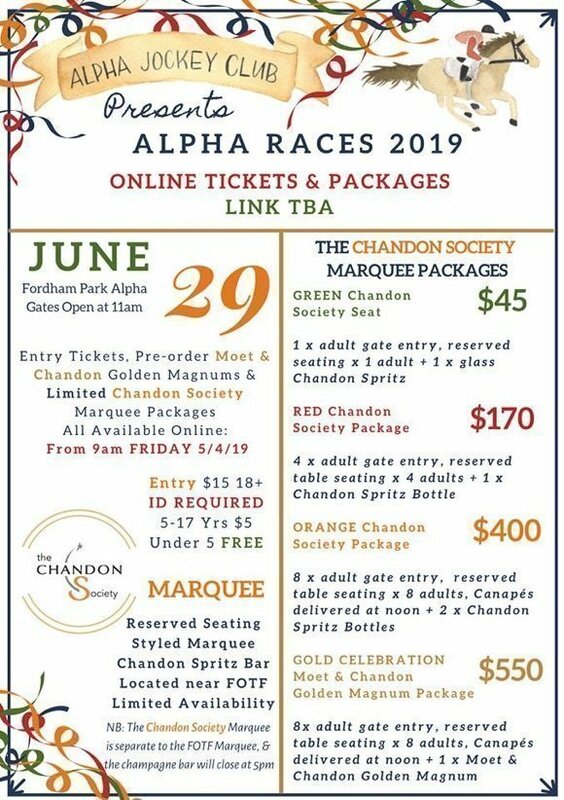 Join the Alpha Jockey Club as it presents the 2019 Alpha Races at Fordham Park. A day for racing, spectacular fashions, and entertainment. Gates open at 11am with a six race program kicking off at 1pm, fashions throughout the afternoon, and live band from 6pm. Chandon Society Packages are limited. Chandon Society marquee will be open from 11am – 5pm. All seating will be at tables of 8, single and 4 seat packages will be at tables shared will other attendees. Please read tickets inclusions carefully. This event is strictly NO BYO. Any persons unduly intoxicated, behaving disorderly, or creating a disturbance will be removed. Don’t drink & drive ~ FREE camping, with showers and toilets, available all weekend, and Breakfast on Sunday morning. 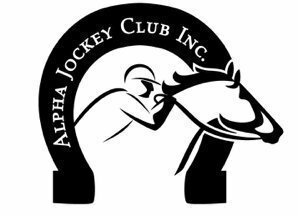 Brought to you by:Alpha Jockey Club Inc.